Eine offene Plattform für Patienten und Begleiter, für alle Arten von Erkrankungen, weltweit. Über die Plattform können sie selbstentwickelte Lösungen für Gesundheitsprobleme teilen. Sie bietet Patienten somit eine Hilfestellung, krankeitsbedingte Herausforderungen besser anzunehmen. Wissenchaftlicher Leiter, New England Biolabs. Nobelpreisträger für Physiologie und Medizin, 1993. Professor, MIT Sloan School of Management. Professor, Technion-Israel Institute of Technology. Professor, New York University School of Law. Professor, University of California, Berkeley. Das Ziel von Patient Innovation ist es, mit Patienten in Kontakt zu kommen und ihnen zu helfen, ihre Lebensqualität zu verbessern. Wir glauben, daß Expertise und ein Vertrauensband zwischen Patientenvereinigungen und ihren Patienten von unschätzbarem Wert sind. Sie bilden die Grundlage für das Erreichen dieses Zieles. Patient Innovation hat ein Stück seines Herzens in Berlin - Patient Innovation has a piece of its heart in Berlin! We are glad to announce our first Local Chapter. 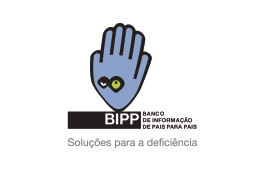 Our team members from Berlin are: Ana Luísa Marcelino, Greta Pierchalla, Iris von Wunsch de Teruel, Adriana Perdigão, Cynthia de Carvalho Fischer, Carolina Czichos, Dominik Soll, Maria Salazar de Sousa Mann. Wir freuen uns, unsere erste regionale Arbeitsgruppe anzukündigen. Die Mitglieder unseres Teams in Berlin: Ana Luísa Marcelino, Greta Pierchalla, Iris von Wunsch de Teruel, Adriana Perdigão, Cynthia de Carvalho Fischer, Carolina Czichos, Dominik Soll, Maria Salazar de Sousa Mann. Wollen Sie erfahren wie es funktioniert? Patients themselves are sometimes resourceful enough to fight their disease and find ways to alleviate its burden, and these singular efforts can be used to make the whole patient community stronger. Pedro Oliveira is Founder and President of the Patient Innovation Association. He is Professor MSO with special responsibilities in healthcare innovation at Copenhagen Business School and Academic Fellow at the Cornell Institute for Healthy Futures. Previously he was a Professor at Católica-Lisbon School of Business and Economics and International Faculty Fellow at MIT Sloan. He received his Ph.D. in Operations, Technology and Innovation Management from the University of North Carolina at Chapel Hill. His research focuses on open and user innovation in healthcare and more specifically on the role of patients in developing new medical products and services. Helena Canhão is Project Leader and Chief Medical Officer of Patient Innovation. Helena is Professor at Nova Medical School where she is also the Principal Investigator of the EpiDoc Unit at CEDOC, the Chronic Diseases Research Centre at Nova Medical School. She graduated (both PhD and Habilitation) in Medicine (Rheumatology) from the Lisbon School of Medicine, University of Lisbon. She also got a Master of Medical Sciences from Harvard School of Medicine, University of Harvard. Leid Zejnilovic is the Research and Operations Officer of Patient Innovation. Leid is a Postdoctoral Fellow at CATÓLICA-LISBON School of Business and Economics. Leid received his dual Ph.D. degree in Strategy, Entrepreneurship and Technological Change from Carnegie Mellon University and the CATÓLICA-LISBON, his MSc in Information Technology from Dzemal Bijedic University and his B.Sc., Telecommunications from the University of Sarajevo. Salomé Azevedo is the Platform Manager at Patient Innovation. Salomé is Teaching Assistant (Operations Management) at Católica Lisbon School of Business and Economics. She did an internship at Carnegie Mellon University’s Engineering and Public Policy Department. She got a Master degree in Biomedical Engineering from IST, LISBON. Rita holds a PhD in Biomedical Sciences from Aston University, Birmingham, UK and a MSc in Biochemistry from Faculdade de Ciências da Universidade de Lisboa, Portugal. Rita has been foccused on translational research, in particular within the immunology area. More recently she has worked as Science and Technology Management Fellow at Nova School of Business and Economics. Rita will be Research Fellow at Católica Lisbon, and serve as Communication Manager and Solutions Analyst at Patient Innovation. João Pedro studied at Instituto Superior de Informática e Gestão, and he got his MBA degree, in 2012, at Católica Lisbon. João Pedro worked in creating and implementing business strategies in Microsoft for several years. Maria João Gonçalves graduated in Medicine from the Universidade de Coimbra and is in her 5th year in Rheumatology in Hospital de Santa Maria, Lisbon. Maria João was a fellow in the Rheumatology Department of the University College of London. Maria João Gonçalves is a member of the medical team at Patient Innovation where she is responsible for validating solutions submitted by patients, caregiver and collaborators. Miguel Nunes graduated in Medicine from the Universidade da Beira Interior, having concluded his specialty in Stomatology, at Centro Hospitalar Lisboa Norte, where he works. He was always interested about the business world and entrepreneurship, having founded Blocomed®, in order to bring to the market a surgery kit he developed for health students. He is a member of the Patient Innovation medical team. Médica licenciada pela Nova Medical School, interna de medicina interna (3o Ano) CHALGARVE. MBA pelo The Lisbon MBA. Minor-Ciência Politica pela FCSH, ba design pela LCF/CSM. Founder de startup de HealthTech&Design. Premiada internacionalmente nas áreas de Biotechnology Leadership e Digital communication. Fellowships na Bélgica, Brasil, Inglaterra e México. 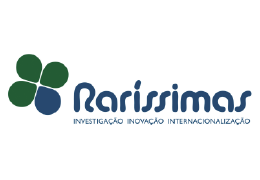 Investigação em: Sustainability-health stakeholders, Impacto solar - clusters de risco, tricologia e onicologia. PTCSRT de Harvard Medical School com FCT. Presidente da comissão de Tecnologias de Informação em Saúde do Health Parliament Portugal. Sir Richard Roberts is the Chief Scientific Officer at New England Biolabs, a molecular biology reagent company located in Beverley, Massachusetts. Sir Richard Roberts was awarded the Nobel Prize in Medicine in 1993 for the discovery of split genes of RNA splicing and his development of restriction enzymes as molecular biology tools. This discovery led to decisive progress in many fields including cancer research. Prof. Eric von Hippel is the T. Wilson (1953) Professor of Management of Innovation and Engineering Systems at the MIT Sloan School of Management. His research discovers and explores patterns in the sources of innovation and develops new processes to improve the innovation process. In November 2015 Prof. Eric von Hippel passed 50,000 citations milestone on Google Scholar. Prof. Aaron Ciechanover is a Distinguished Professor in the Technion - Israel Institute of Technology in Haifa. Ciechanover is a member (Foreign) of the National Academy of Sciences of the USA and the Israeli Academy of Sciences and Humanities, among other. 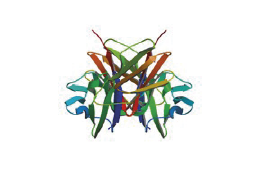 Prof. Aaron Ciechanover received are the 2000 Albert Lasket Award and the Nobel Prize in Chemistry in 2004 for the discovery of the ubiquitin system and its importance as an important platform for drug development. Prof. Katherine Strandburg is Professor of Law at NYU School of Law. She is an expert in patent law, innovation policy, and information privacy law. Strandburg’s research considers the implications of user and collaborative innovation for patent law and of “big data” for privacy law. Strandburg clerked for Judge Richard Cudahy of the US Court of Appeals for the Seventh Circuit. Prof. Robert Langer is a leading bioengineer and entrepreneur. He is one of 11 Institute Professors at MIT, the highest honor that can be awarded to a faculty member. Langer is an internationally acclaimed inventor and engineer, with over 2000 patents and published articles. He is pioneer in drug delivery, tissue engineering, and nanotechnology. Langer's research laboratory at MIT is the largest academic biomedical engineering lab in the world, maintaining over $15 million in annual grants and over 100 researchers. Prof. Lee Fleming is a Professor at University of California, Berkeley and the Faculty Director of the Coleman Fung Institute of Engineering Leadership. His research investigates how managers can increase their organization's chances of inventing a breakthrough, through types of collaboration, the integration of scientific and empirical search strategies, and the recombination of diverse technologies. Keld Laursen is a professor of the Economics and Management of Innovation at Copenhagen Business School, where he serves as Head of the Department of Strategy and Innovation. He is also DNV-GL Professor II at the Norwegian University of Science and Technology (NTNU). His research focuses on open and distributed innovation processes and on organizational practices and innovation outcomes. He has published in the leading management journal and is widely cited. He serves as a member of the European Research Council (ERC) for Social Sciences and Humanities (SH1) and is also a member of the Executive Board of the Danish Research Unit for Industrial Dynamics (DRUID). 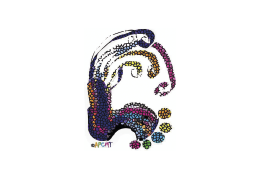 RARÍSSIMAS – National Association of Mental and Rare Disabilities - was founded in April 2002 with the Mission support patients, families, old friends and everyone who lives closely with rare disabilities. 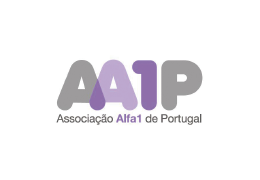 This association arises from the need for two families with children " Alfa " to find a way to gather and facilitate the dissemination of updated and credible information in Portuguese, available for anyone interested in the knowledge of Alpha 1 antitrypsin deficiency (Alpha1). 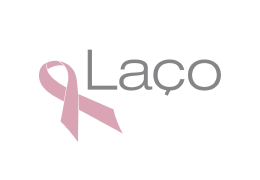 Laço is a non-profit association, founded in 2000 and which aim is to fight against breast cancer in Portugal. Always has sought to support and develop initiatives that provoke a strong impact on the prevention, early diagnosis and treatment of breast cancer in Portugal. 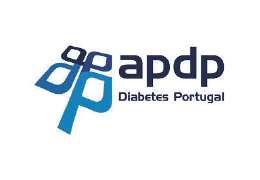 From the historical point of view Protective Diabetes Association of Portugal ( APDP ) was founded in 1926 to deliver insulin at national level to the poor and needy with diabetes. The Association's purpose is to disseminate and sensitize the population in general and the particular medical community about the existence of degenerative disease, Charcot Marie Tooth. 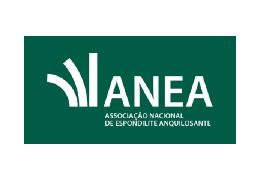 The National Association of Ankylosing Spondylitis (ANEA) gathers people who suffer from EA, their families, physicians interested in this pathology, physical therapists and other staff of the Health sector. 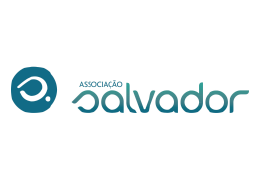 The Salvador Association, Private Social Solidarity Institution engaged in motor disability field, was founded by Salvador Mendes de Almeida in 2003. 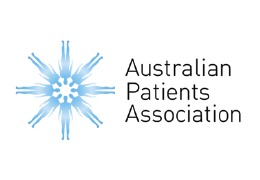 The Australian Patients Association is an independent not-for-profit organization dedicated to championing and protecting the rights and interests of patients, and improving overall patient care and health outcomes. 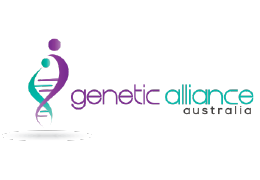 Genetic Alliance Australia (formerly AGSA) is a peak umbrella group for rare genetic conditions/diseases, so rare they do not have their own support group. 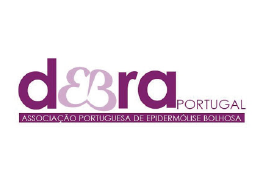 The Portuguese Association of Epidermolysis Bullosa was formed in September 2010 by a civic group mostly patients and parents of patients with Epidermolysis Bullosa. 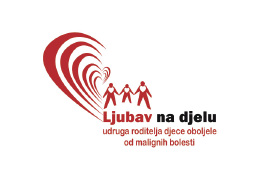 Association "Acts of Love" is an association that brings together parents of children with malignant diseases that are treated as part of the "Children's Hospital Zagreb". The main objective of the association is to help and support children suffering from malignant diseases as well as their parents. 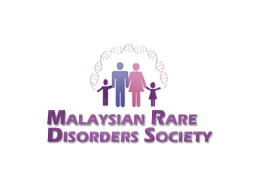 Malaysian Rare Disorders Society (MRDS) was formed in 2004, with the help and guidance of the Genetic Unit, Department of Paediatrics, University Malaya Medical Centre. MRDS is a voluntary organization set-up to represent and look out for the welfare of individuals including their families that are affected by rare disorders. 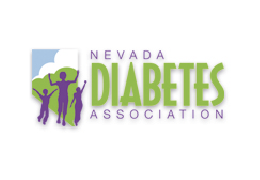 The Nevada Diabetes Association is a non-profit organization incorporated in April 1997 by a merger between the Diabetes Educational Center founded in 1980 and the Nevada Children’s Diabetes Association founded in 1996. 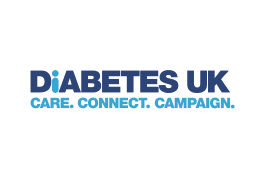 The organization is an independent diabetes association and is not affiliated with any national diabetes organization. 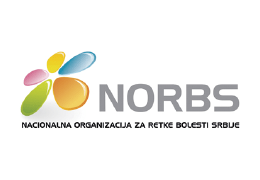 National Organization for Rare Diseases Serbia - NORBS is an alliance of associations dealing with issues of persons with rare diseases and their families , was established on 23 July 2010. 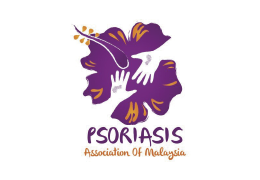 The Persatuan Psoriasis Malaysia (Psoriasis Association Of Malaysia) is a registered, non-profit, self-help, lay organization of psoriasis sufferers started in 1987 to help improve the life of people with psoriasis and their families. Rede Positivo is a Portuguese Patient community, dedicated to sharing information and to HIV-positive people from diverse backgrounds, sexualities and genders. 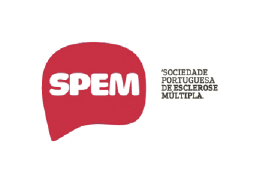 The Portuguese Society for Multiple Sclerosis (SPEM) is a Private Institution of Social Solidarity established in 1984, whose mission is to contribute to improving the living conditions of people with MS and people with whom they live. 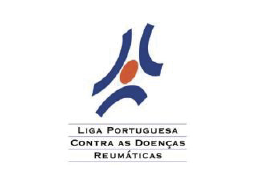 The Portuguese League against Rheumatic Diseases was established in 1982 and is nationwide. Patrícia did an Executive Advanced-Graduation program in Innovation Management and Entrepreneurship, at Católica Lisbon. She has a lot of experience working in User Experience, Digital Marketing, Strategy and Innovation. Inês is the Fundraising and Advancement Manager at Patient Innovation. She is also responsible for its institutional and public relations. After graduating in International Relations from Lisbon University’s School of Social and Political Sciences, she worked in Protocol at the Portuguese Parliament and later became Coordinator of the first Communications and Image service at Lisbon University’s School of Law. Michaël Memeteau has joined our Patient Innovation team. With an initial education in Mechanical Engineering and non-conventional manufacturing processes, Michaël started as a Product Engineer for the automotive industry. He was later the co-founder and CTO of the first Portuguese fleet management online (sold to a French group). After a short break as a traceability consultant working on European Health programs, he has created another company to change how bottled gas is sold and consumed. Hardware, tech lover and hand's on, he's always looking how to apply technology to make a real-world impact. 3D printing (augmented by the power of CAD) is one of those technologies and he'll use his know-how to contribute to the success of Patient Innovation.